We offer solutions for concrete protection penetrating treatments and additives for concrete in United Kingdom. Australia, New Zealand. Concrete protection for new and existing concrete is a area that MARKHAM GLOBAL specilises. 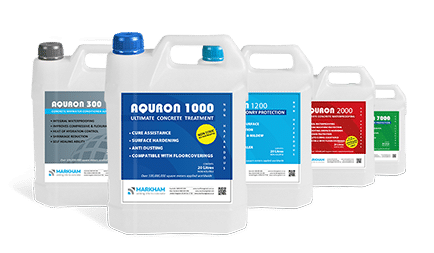 For new concrete, the AQURON 2000 Multipurpose Spray on treatment for concrete protection , waterproofing, in one application, or the AQURON 300 Additive for concrete protection by intergrally waterproofing and increasing strength concrete. For existing concrete, AQURON 7000 Concrete protection treatment removes moisture and corrosives from accelerating the corrosion process.